During my five weeks of vacation , I had the privilege of attending an event . 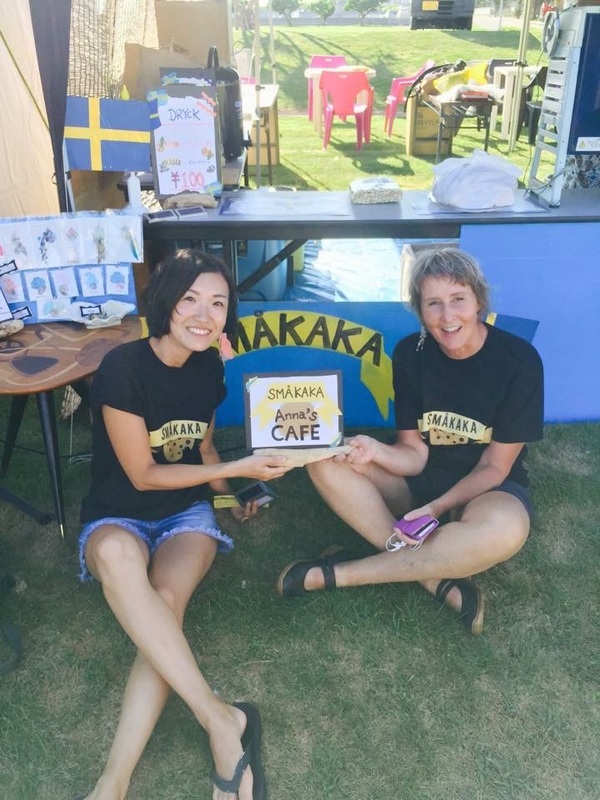 Småkaka had the opportunity to have a sales stall. We wanted to test the Nordic food, and it was a success . Meatballs , cinnamon buns, gravlax and blueberries and rosehip soup was on the menu . 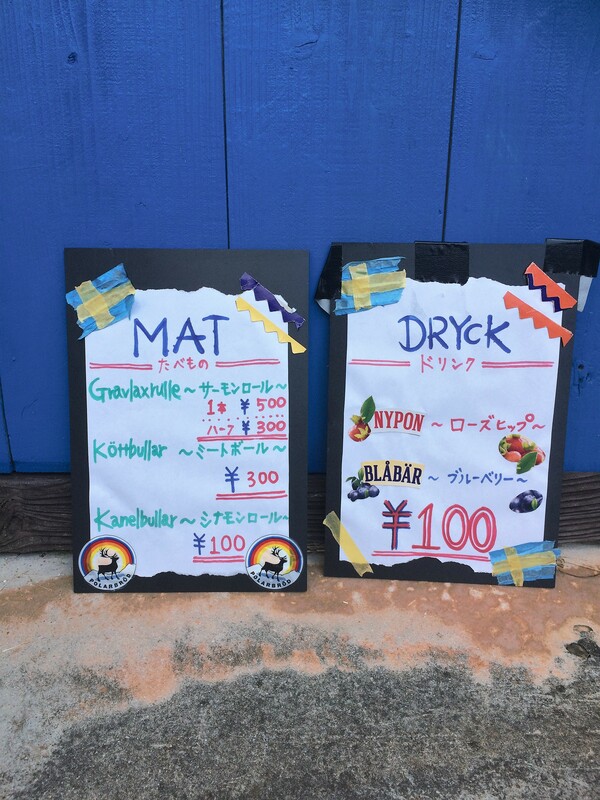 The menus did Miho and during the festival worked Yuki Mori as a guide . We needed to get the Japanese to dare to come forward. We are attracted by giving out pieces of cinnamon bun and it worked perfectly. Day two we had sold out of all our food after two hours. 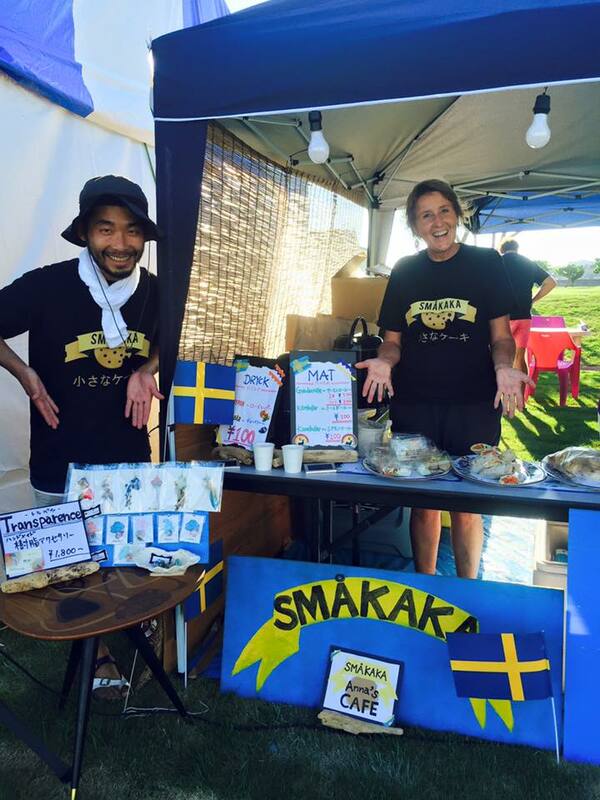 It was great fun and I long to prepare and test more Nordic food.